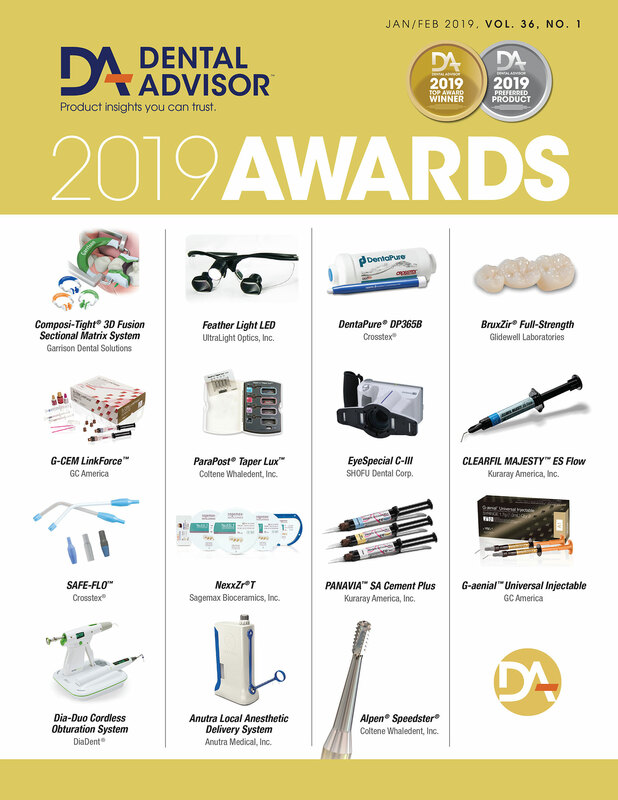 Great for adjusting screw-retained implant restorations. The intra-oral design allows for efficient adjustment without constant removal of the restoration to adjust it extra-orally. Use both spiral polishers to get a high gloss. Try using a diamond or porcelain polishing paste with the grey wheel. 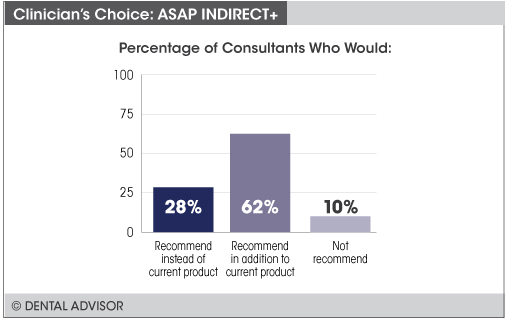 ASAP INDIRECT+ was evaluated by 29 consultants and was used 456 times in total. 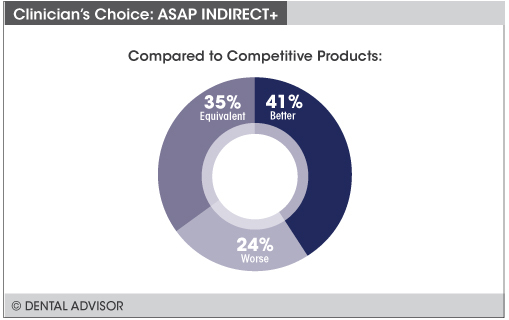 ASAP INDIRECT+ is an intra-oral, diamond polishing system for indirect ceramic restorations. The diamond-impregnated adjusters in disc, point and cylinder shapes can be used to make minor adjustments or remove scratches introduced by diamond burs during adjustments. Diamond-impregnated pre-polisher (blue) and final polisher (pink) spiral wheels provide for a high-gloss final polish. 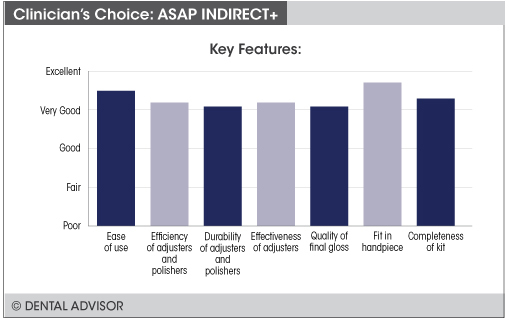 The adjusters, pre-polishers and final polishers are autoclavable. 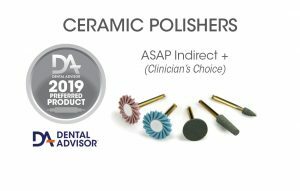 ASAP INDIRECT+ is available in a starter kit containing three adjusters (one each in disc, point and cylinder shapes), one spiral wheel pre-polisher (blue) and one spiral wheel final polisher (pink). In addition, a refill pack is available containing two polishers (1 ea: pre-polisher and final polisher), as well as refill packs containing either three pre-polishers, final polishers, or point, cylinder or disc adjusters.